Kate graduated in 2014 from Curtin University in Perth, Western Australia. Since then she has worked in the private sector as well as in the community providing therapy to those with disabilities. During her time in Australia, Kate has worked with many sporting teams including; Australian Football, hockey, cricket and netball. The Australian lifestyle and love of the outdoors has allowed her to see a variety of activity related injuries. She has also visited businesses to provide on-site Physiotherapy services and workstation assessments to help prevent injuries and develop strategies for safer work practices. Throughout her career Kate has always looked to further her knowledge and is excited by the developments made in Physiotherapy. She has qualified as a dry needling practitioner, a technique she has found to be very successful in treating a number of injuries. Last year Kate attended an ‘Explain Pain’ Conference in Darwin Australia where pioneers in pain research presented their findings and ideas for the future management of pain. Working alongside Exercise Physiologists she has attended a variety of courses on exercise prescription and rehabilitation. This is a skill she can apply to all patient presentations when needed. Kate moved to the UK from Australia in September 2017, and lived in London and Edinburgh before deciding to make Cardiff her home away from home. While fairly new to the UK, Kate has managed to explore many regions and is not looking to stop this anytime soon! She loves to travel, and is very excited by what the rest of Europe has to offer. The sporting presence of Cardiff and the friendly nature of those who live here has made the adjustment to the Welsh lifestyle easy and enjoyable. 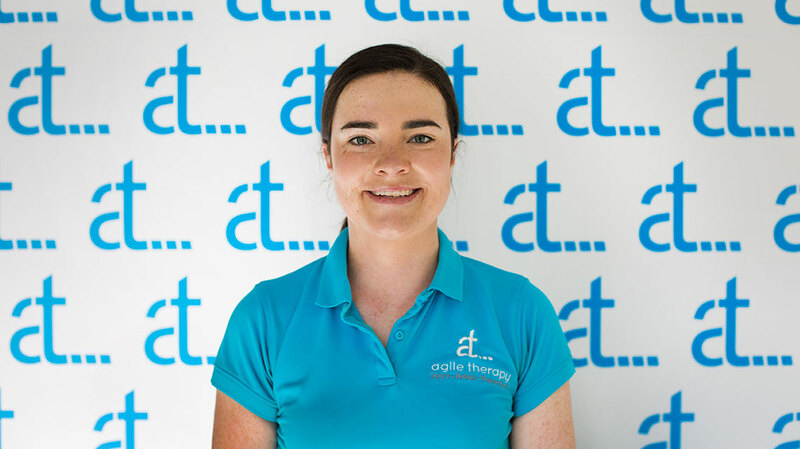 Kate is very excited to get started with the Agile Therapy Team and meet a wide range of clients.